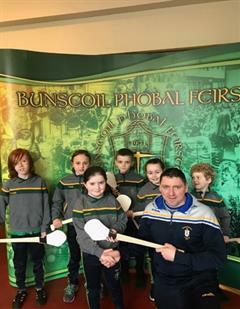 Tá fís láidir ag Bunscoil Phobal Feirste agus Naíscoil Bhreandáin leis an chaighdeán is airde a chothú trí mheán na Gaeilge agus le ceannasaíocht straitéiseach sa scoil tá sé mar aidhm le cinntiú go gcuirtear an fhís seo i bhfeidhm sa scoil ag gach uile leibhéal. Glactar le múinteoirí mar cheannasaithe ina seomra féin agus sna hachair ina bhfuil siad freagrach astu. Bíonn plé rialta ann faoi threoir na scoile agus tá guth ag foireann, daltaí agus tuismitheoirí sa phróiseas seo. Tá clár monatóireachta agus luachála ag gach leibhéal a chinntíonn cumarsáid shoiléir agus oscailte I dtimpeallacht atá comhtháite agus tacúil a chuidíonn le dul chun cinn. Go mall sna 1960í tháinig grúpa teaghlach, a raibh Gaeilge acu, le chéile chun Gaeltacht uirbeach a bhunú ar Bhóthar Seoighe. 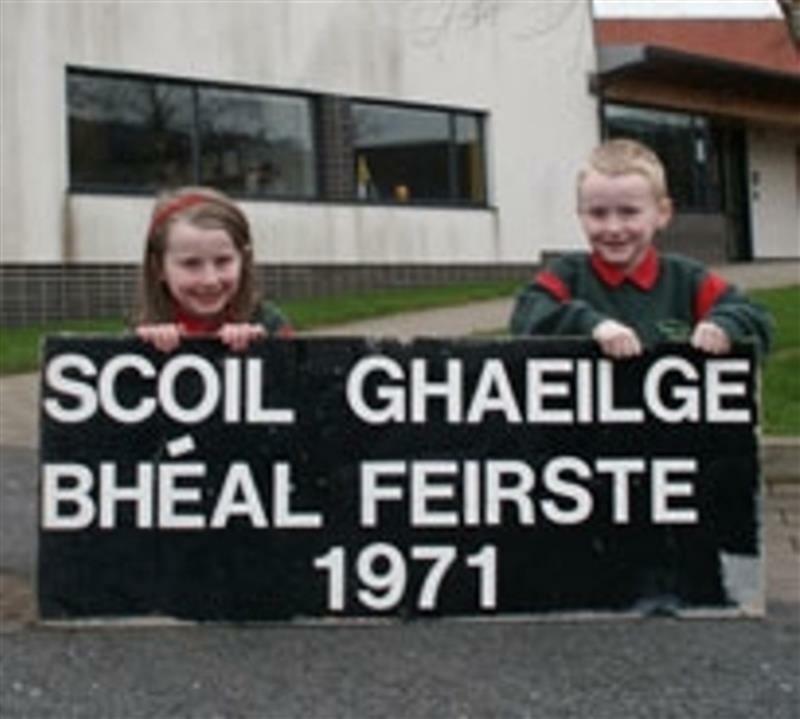 Bunaíodh Bunscoil Phobal Feirste I 1971 le 9 bpáiste. Chuaigh an scoil ó neart go neart. Faoi 1978 cuireadh tús le naíscoil lán aimseartha. 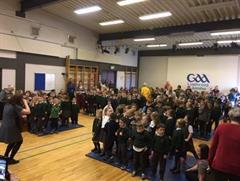 Céim ollmhór a bhí ann i stair na scoile sa mhéid is go raibh teaghlaigh in inmhe páistí a chlárú i nGaelscolaíocht. Obair deonach le hairgead a bhailiú a choinnigh an scoil beo le trí bliana déag. Sa bhliain 1994 aithníodh an scoil agus bronnadh stádas oifigiúil uirthi. Ó shin bunaíodh roinnt Gaelscoileanna eile i mBéal Feirste agus sa cheantar máguaird. Lé bunú Coláiste Feirste i 1991, an chéad iar-bhunscoil sa rannóg, tá rogha Gaelscolaíochta ann ó 3-18. 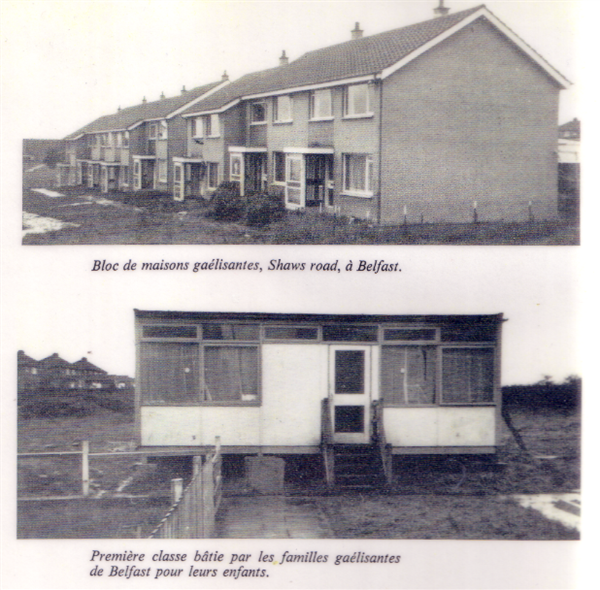 In the late 60’s a group of Irish speaking families set up an urban Gaeltacht on Shaw’s Road. In 1971 Bunscoil Phobal Feirste began with nine children. The school grew from strength to strength. 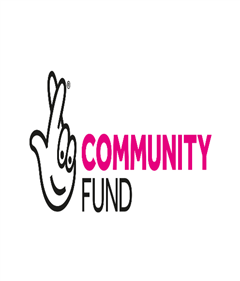 Voluntary fundraising kept the school running for the first thirteen years. In 1984 Bunscoil Phobal Feirste was awarded official maintained status. In 1978 a full immersion nursery programme was introduced. This was a momentus step in the history of the school as English speaking families could enrol their children from the age of three in an immersion programme. This programme develops the foundation in linguistic skills which allows the child to fully access the curriculum in the Primary Schools. In 1998 the Áisaonad LánGhaeilge was set up in St. Mary’s University College. This book publishing facility employs experienced and highly qualified staff to produce books of the highest quality for the Irish Medium Education both at Primary and Secondary level. In 2000, Comhairle na Gaelscolaíochta was established. This professional organisation is fully funded by the Department of Education and is responsible for strategic planning within the Irish Medium section. Comhairle na Gaelscolaíochta represents Irish Medium Education at policy making level within the Department of Education, CCEA, and the Education and Library Boards. In 1995 teacher training for teacher in Irish Medium schools was set up in St. Mary’s University College. Much has been achieved to allow Irish Medium Education its current status as a viable alternative for parents who wish their children to be educated through the medium of Irish. The successes of the Irish Medium sector are widely documented. Bunscoil Phobal Feirste is the flagship school in the Irish Medium sector. In September 2009 the BBC broadcasted a programme which was made in honour of the first nine pupils in the school. It follows the progress which has been made during the years from 1971 until today when Irish Medium education flourishes. In 2000 Bunscoil Phobal Feirste moved into a new state of the art building. In 2002 Naíscoil Bhreandáin was opened on the same site. The building is not only beautifully designed with landscaped grounds but also incorporates some of the most modern up-to-date facilities available in any school. The accommodation comprises of 14 classrooms resource areas, a large sports hall, a medical room, a central library, an attractive welcoming school foyer and offices. There are two outdoor play areas also. 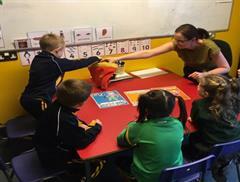 Each classroom has its own cloakroom and toilet area with access to purpose built resource area.